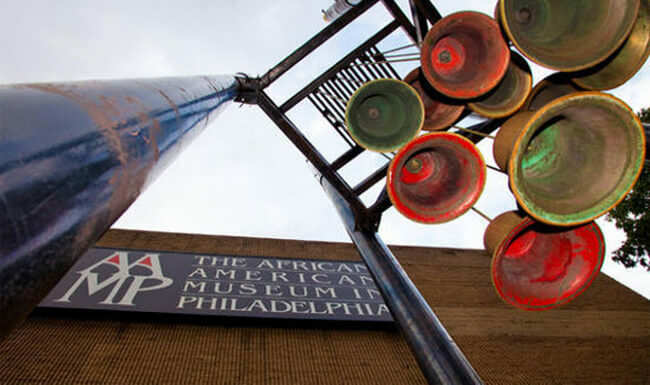 The African American Museum in Philadelphia, above, collects and preserves art and artifacts and, through exhibitions and programs interprets the history and stories of African Americans. Combine your tour with a special event such as the annual Odunde African American Festival (June), which is the largest African celebration on the east coast. Or, take a trip during Wawa Welcome America! (June/July), Philly’s week-long fourth of July celebration, which just happens to be completely free. Or are music festivals more your scene? The Roots Picnic (June) is still going strong. Visit the many educational exhibits at the National Constitution Center and make sure to see the live production of “Freedom Rising.” Just down the block, groups can visit the Liberty Bell Center, and the President’s House Commemorative Site. The President’s House will honor the nine enslaved Africans who worked for President George Washington at this site, which was the nation’s first White House. Dine at your choice of restaurants to discover tantalizing dishes featuring selections from soul food to cheesesteaks in Reading Terminal Market, an authentic farmers market. Reserve your tickets ahead of time for The Barnes Foundation along the Benjamin Franklin Parkway. Albert C. Barnes began purchasing African Art in the early 1920s with the help of Paul Guillaume, and the museum hosts a large collection of African masks, ranging from the Baule peoples to the Dan peoples, as well as myriad figurines and carvings from these regions. Listen to the sounds of blues, jazz, or gospel at one of the City’s live music clubs, such as Warmdaddy’s, Chris’ Jazz Cafe or World Café Live. Take a walking or driving tour focusing on African-American history and culture in Philadelphia with one of Philadelphia’s receptive tour operators. Points of interest include: The African American Museum in Philadelphia, the All Wars Memorial to Colored Soldiers, and the Philadelphia Museum of Art, which was the nation’s first major museum designed by a black architect. Head to Ms. Tootsie’s Soul Food Café for Southern comfort cuisine. This charming BYOB features down-home cooking in an upscale atmosphere and has a private dining space available for groups. Take a tour of the Johnson House in Germantown, an important station on the Underground Railroad. Then tour the home of Paul Robeson, one of America’s greatest heroes, singers, actors, athletes, and activists; and the home of Marian Anderson, world-renowned contralto concert singer. Enjoy a world-renowned performance at the Freedom Theatre or one by Philadanco, Philadelphia’s premier African American modern, contemporary dance company at the Kimmel Center for the Performing Arts. Attend a service and tour the lower level museum of Mother Bethel A.M.E. Church. The birthplace of the A.M.E. faith, this church sits on the oldest parcel of land continuously owned by African Americans. Enjoy the vibe at Warmdaddy’s, Philadelphia’s premier live blues club, featuring nationally and internationally known performers. Enjoy dinner before or during the show, with a menu featuring Southern staples with all of the trimmings, such as collard greens, cornbread, catfish, and more. Warmdaddy’s offers seating for groups up to 100 people, group pricing and menus, and is open for dinner and live music every evening. Every Tuesday evening they have their weekly open jam session, where they give local artist a place to perform. In addition to its evening entertainment, Warmdaddy’s offers a Sunday Jazz Brunch, featuring top jazz performers in the Philadelphia area.